Our Thoughts and Eating is where most of us get into trouble! For most of us, our thoughts and eating, is where we get into trouble. Eating is not automatic. You first have a thought, and make a decision to act on that thought. You always make a decision to eat, or not to eat, to keep eating, or to stop eating. 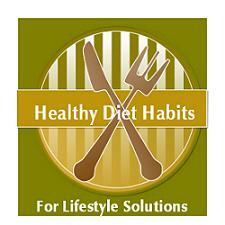 Part of the ability to incorporate healthy diet habits into your life, is to learn to recognize your thoughts. Your thoughts either sabotage you, and these are called sabotaging thoughts, or they can help you, and are called helpful thoughts. The trick, is to learn to recognize sabotaging thoughts, and replace them with helpful thoughts. I believe that your thinking is the place to begin, if you want to make some lifestyle changes, because your thoughts are very powerful. It is interesting to note that our thinking determines whether we will be able to resist an eating trigger. If you face a trigger to eat, and are bombarded by sabotaging thoughts, you will probably give in to the trigger and eat. If you face a trigger, and use helpful thoughts, you have a much greater chance of being successful, and not eating. There are many different triggers that tell us to eat, all day long, so helpful thinking is critical to your success. I just ate, but I am starving, so I will grab some cookies vs. I am just craving cookies and do not need them, because I just ate. I will call a friend instead. It does not matter if I eat this pie, I can start over tomorrow vs. It does matter! If I eat that pie, I will just keep eating more, and more sweets, because pie is my downfall, and I will be mad at myself later. I am upset, and eating always makes me feel better, so I will eat a few chips vs. If I eat those chips, I will still be upset, and eat half a bag and feel terrible, and that is not what I want. See the Emotional Eating Section! It is important to identify your thoughts, and ask what you are thinking, and determine whether it is a sabotaging thought, or a helpful thought. This is a process, but as you practice it will become easier. It is helpful when you made a mistake, to try to identify the sabotaging thought that caused the bad choice, so you can identify it when it happens again. Another form of thinking that can sabotage healthy eating, is All or Nothing Thinking. This is black and white thinking, with no middle ground. If you think in terms of healthy or junk food, on or off a diet, a large specific weight goal rather than a reasonable goal, the need to eliminate whole food groups, labeling yourself as good or bad, needing to redo your entire diet all at once, over-exercising, vowing to cut out all sugar or white stuff in one day, then you are prone to all or nothing thinking. None of us is perfect, and All or Nothing Thinking, leads to negative self talk. You must get rid of those sabotaging thoughts that tell you, if you are not perfect, you will not be successful. Find ways to incorporate positive self talk, or helpful thoughts into your life. This is the first step in getting your thoughts and eating under control and making great Lifestyle Solutions!